Complete remodel! 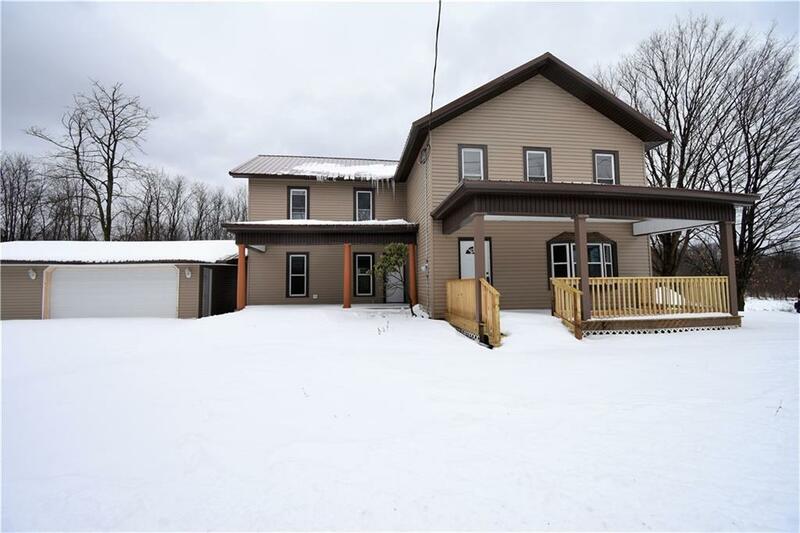 6 bedroom home with 2.5 baths, 2 car garage and pole barn with 3 additional bays, all located on 6.7 ACRES with a pond and running creek. First floor features a large bedroom with double closets, beautifully remodeled kitchen with brand new cabinets and stainless steel appliances, walk in pantry, formal and informal dining areas, spacious living room, home office/den and family room with french doors. Just off the kitchen on the second floor are 2 bedrooms, from the living room enter the second level to 3 additional bedrooms including a master with attached bath and laundry area that can also be accessed via the hallway for secondary bedrooms. Additional updates include: 2 new high efficiency gas furnaces, new 50 gallon hot water tank, new metal roof on house and 2 car garage, all new electric including meter and service, new garage door and new porches and deck. This house is a must see! Directions To Property: Route 20 To Brocton, South On Highland To Webster Rd. Right On Webster To Property On Left.